FreshPHONE has introduced a free mobile application that will replace the traditional home phone, it enables customers to manage all their home phone calls seamlessly on their mobile phones. 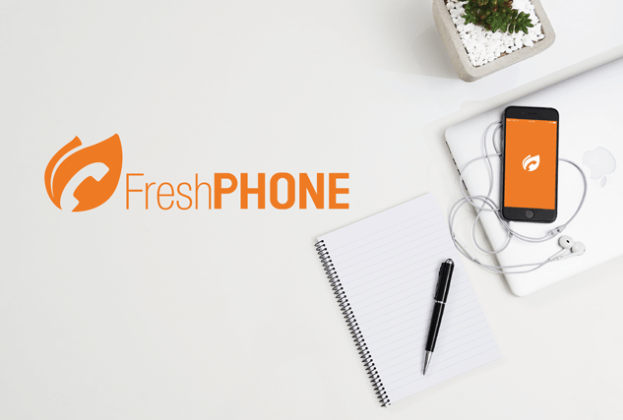 With FreshPHONE, customers are eliminating unnecessary costs and only pay for the calls they make. Customers benefit from low cost calling, locally and internationally, on a pure per-second billing system with no connection fees or minimum costs. There are no hidden costs and no surprises and all FreshPHONE to FreshPHONE calls are free of charge. Calls to any mobile phone will now only cost 69 cents (VAT inclusive) and only 39 cents (VAT inclusive) to any landline and is billed per second. FreshPHONE has no setup costs or monthly line and rental fees and one pays less for calls. The app works on any internet service provider’s backbone, if a customer decides to change internet service providers, they do not have to change or find a new telephone service provider. FreshPHONE is a pure prepaid system, curbing the nasty surprise bill at the end of the month. Customers can now keep track of how much they are spending on their calls and they can easily purchase airtime with a MasterCard or Visa Card. Additionally, FreshPHONE gives customers access to a simple, easy-to-use dashboard that shows them all the information about their telephone system online. Customers enjoy the ease of seeing all their information in one place, they can log onto their system from anywhere at any time and can access real time inbound and outbound itemised call history, a standard FreshPHONE feature. “The app is a self-provisioning solution that enables home users to port their existing GEO- graphic (011/021/031 etc) home phone number or we will give you a free 087 home phone number to be used on your mobile phone anywhere that has good connectivity,” he concludes. Just log into , register (receive R5 free airtime) and then download the app from either the IOS Store or Google Play store and enter your user name and password and off you go. This article was published in partnership with Euphoria Telecom.